Milton brings a classic in-frame style up-to-date, so it's easy to adapt for a variety of settings. 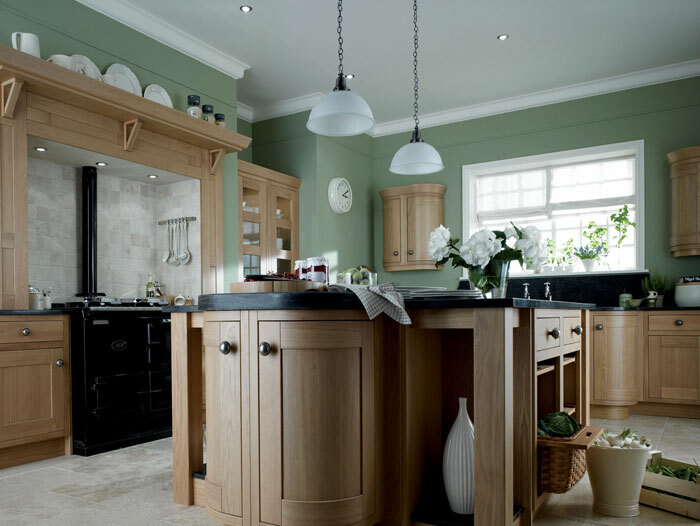 Choose oak walnut or two very different looks. A chunky granite worktop and slender bar handles create a contemporary feel, while solid pewter knobs give a nod to the past. Milton offers a wide range of storage features, from curved wall units, to deep drawers and spice drawers, so you can tailor your kitchen to suit your lifestyle.